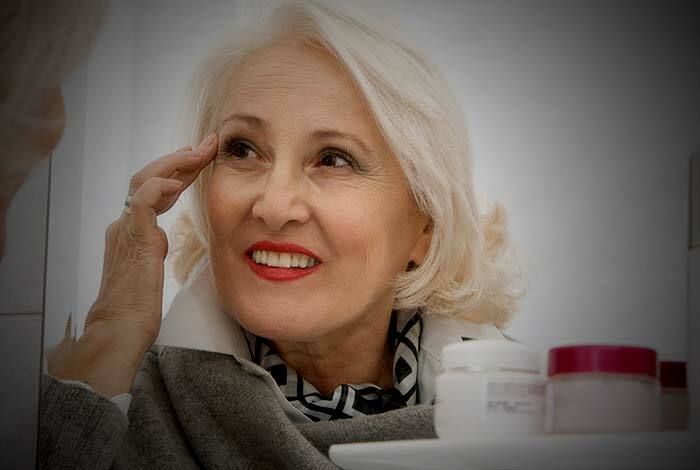 This post is a one-stop solution for women over 50s who want to beautify themselves. 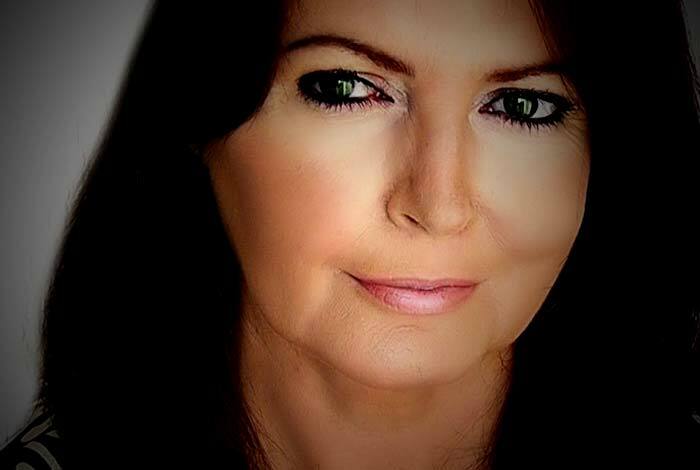 Haven’t we all seen those tutorials which guarantee to make you look prettier and younger and rope you into believing that makeup for old women can be transformational? Now you’d like to know if it could transform you into a younger looking version. Now the much-awaited answer is Yes! Right tips and tools can help you. 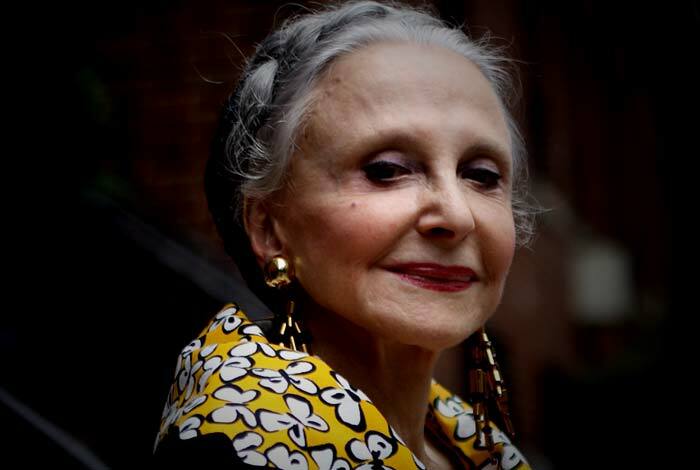 Even if you are new to this niche and don’t really know how makeup tips for older women and tricks work, but there are a few things that you can do to stay young and beautiful. 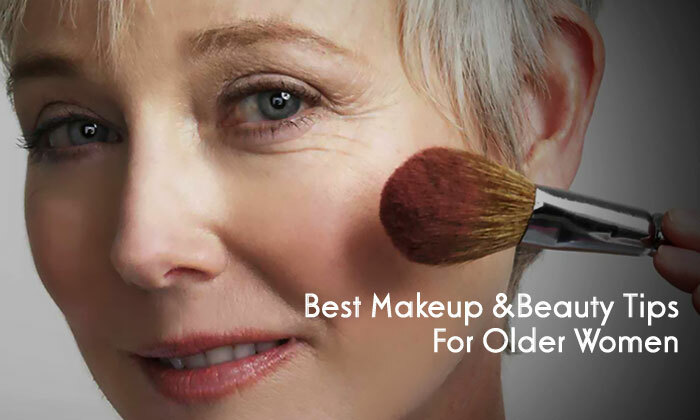 So, start today and look and feel young with these best makeup tips for older women. Powder forms a coating on our face. If your face is oily, it could be a great bet, but the production of oil slows down with aging. When you put powder on such a skin, it looks dusty, ashy and dry. This ages us all the more visually when in fact we want to look young. In place of powder, use a setting spray which will help you keep your make up in place. And the areas that are drier than other apply a moisturizer before application of makeup. You can hide your fine lines with this hydration. Moreover, you must use a liquid foundation, bronzers, and blushes. Ditch the powder that makes your skin age. But you want thicker lashes, so don’t just do away with the powder. Use some powder to coat your lashes before you go on to apply some mascara. Use the mascara wand to dust the powder on the lashes. Apply two coats of mascara and wiggle the wand in the root. From there direct your movement up and inward towards your nose. Sweep away the extra powder that is falling out of the bounds. As you age, you are advised to take care of your wrinkles. As time goes by, the problem becomes even more grave. 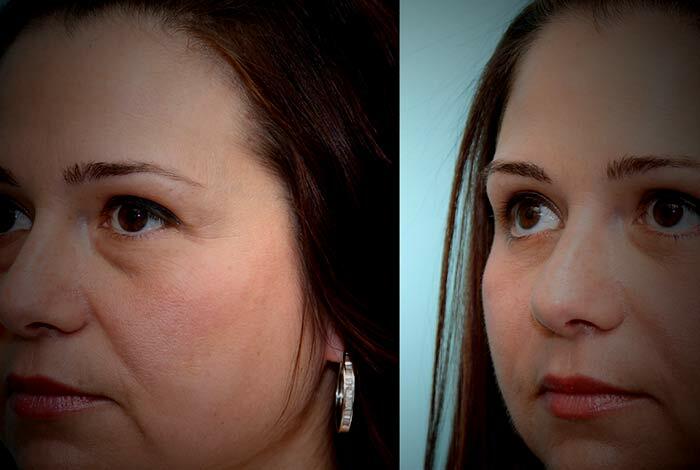 Use an anti-wrinkle serum to get rid of those lines on your face. 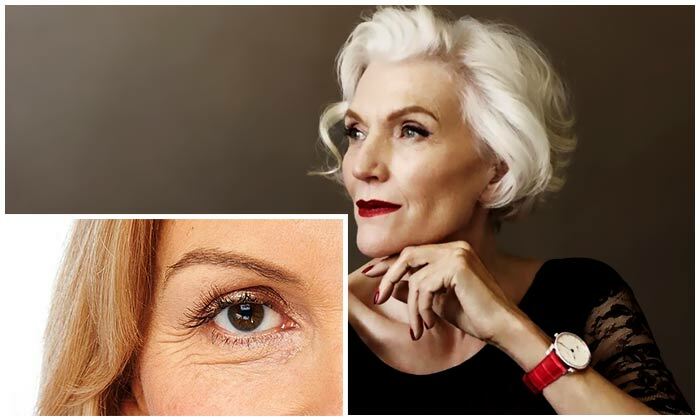 As you grow older, your eyelashes start thinning, and you may even lose some of them. It’s absolutely normal but what you can do on your end is to remove mascara every single night. You can even use some baby oil apart from the regular remover. Although it is gentle but ensure that it doesn’t get into your eyes. You can dip cotton in the oil and gently swipe out the mascara. Clean up all smears. You may not have been able to save your eyelashes to aging but what more could you ask for? You have false eyelashes that can be pulled off pretty easily. Start with an area where the eyelashes are not too dense. Cut the inner one-third of the strip, and you shall be using only the outer two thirds. 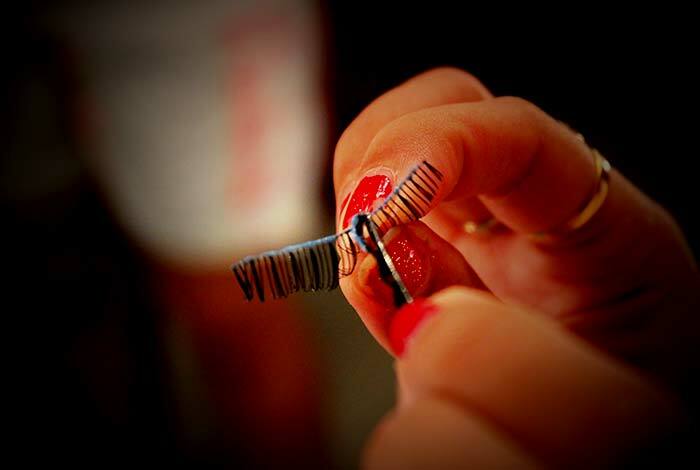 With a bobby pin, try to coat the lash strip in glue. Press it so that it dries up. 6. We have a permanent fix! 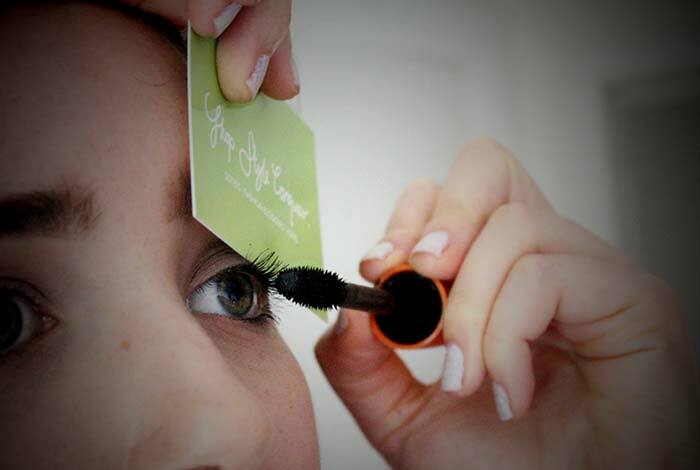 Tired of applying mascara coat by coat or applying false eyelashes. These are time-consuming and also give a false and overly done look. Use eyelash enhancers. They are a big hit. Extensions for lashes, specially formulated mascaras ad, so many other options make it all the more difficult to discern what works and what doesn’t. We need to decide what’s best for us. If you don’t want to try a hundred different shades of lipstick, try creating one of your own. Use shadow or blush in a color that you most like. Take a bobby pin and scrape out some of the powder. On a surface, mix it with petroleum jelly. You can add more pigment to make it deeper. If it is really deep, add a balm. There you go, girl! 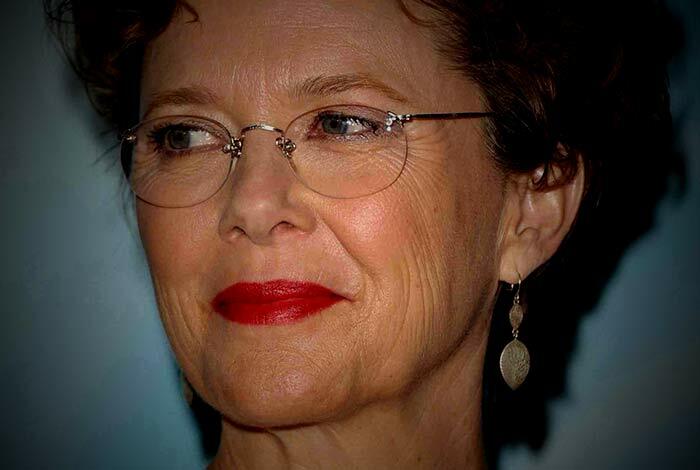 Now that you are older, doesn’t mean that you need to hide your age with those baseless foundations. Moisturize your skin to make it look all the more youthful. Take some of the moisturizer and mix it with your foundation. Nobody can say if you have used makeup. It is a great idea for winters. And do not forget to slather your SPF underneath. Dry formulas can actually emphasize wrinkles, go for cream formulas. Cream blushes last longer than powders. So, you don’t have to buy a new product out there. Use cream, pink or red lipstick as blush. If the lipstick is too bright, you don’t need to use enough of it. Blend it with fingers and do a little brush blending. Your credit cards, key cards, business cards can be great beauty tools. Whip it out if the corner of the eye is drooping a little. Put it at an angle up and out from the eye’s outer corner. Now apply shadow and eyeliner without really thinking about going down a millimetre and dragging your eye. You can even use this when you are applying mascara with a thick wand or which is sort of messy. Hold the card behind the lashes, and when you pull it off, you see there is no mess. Hollowness and sagging around your mouth give subtle shadows. So, conceal the area around the lips to remove any discoloration. So, your lips stand out. Apply lipstick and clean the mistakes keeping the lip lines uniform. This will also add volume to your lips. After you have applied lipstick, make tiny dots in the center of your face with a concealer. Use a brush to pat it until it gets blended. More dimension will be added to deflated lips. Isn’t it cool? The needs of every area of your face are different. Pores can get clogged by dirt at the nose sides and in the chin’s cleft. Exposure to sun can irritate the cheeks. Foreheads can become oily in some cases while dry enough to accentuate lines in others. 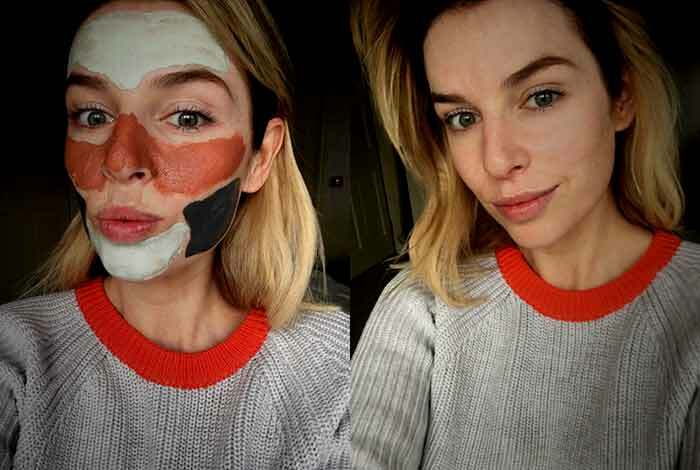 So, apply different masks to different areas of the face. Clay masks can be used for unplugging clogged pores, for cheeks you can use gel masks and chamomile. Forehead balance can be regained with charcoal masks or rose essence. Hydrogel patches are great for the are under the eyes. 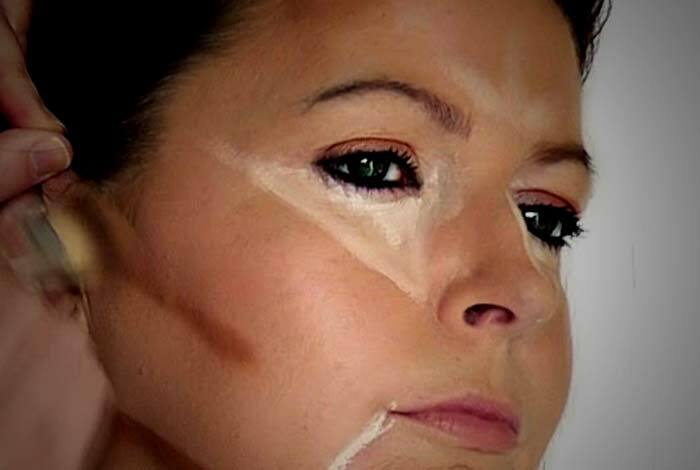 For contouring, there are many products on the market. But these have their own limitations. Some may be too dark, too stiff and may make your face look muddy. But you don’t need a product specifically for contouring when you can use a foundation stick. Choose a shade that you like and avoid the ones that you don’t. Simple! Well, contour sticks are nothing but foundation sticks with a limited range. If you don’t have much knowledge about this, fret not! You can use a foundation that is a shade or two darker than your natural skin tone. You can’t beat smelling good. It affects the way we carry ourselves and sets our mood. But the fragrance of even the best of perfumes tends to fade away before we are done with the day. Get over this and apply your perfumes to all the right places. You can use lighter formulas and dab on the stronger perfumes with your fingers. You got to apply the perfume to those areas of the body where the heat throws the scent. The pulse points are wrists, behind the ears. That’s not it. Your belly button point behind elbows and knees should not be avoided. Does your bathroom lighting age you? Fluorescent lighting can give an impression of a sallow skin. Find a location with good natural lighting where you can do your make up. It’s still not done. You can check it in the rear-view mirror of your car, rooms where there is less lighting, outdoors, just about anywhere! This will let you know what needs revision. Selecting the right foundation undertone is really important. There are techniques which will help you in the process. There are many factors at play like your eye color, and whether you’d be wearing silver or golden jewelry. You thought this mattered? Selecting the right one is a no-brainer. Resort to a yellow undertone. It may not hold true for all, but most women look great with a warmer shade. Gold is more associated with youth and it adds warmth. Same for hair– blonde hair look appealing rather than ashy tones. Even as the production of oil goes down but it won’t hurt to pack some blotting papers as they are required more often than we could think of. There are plenty of ways to blot that oil off without affecting the makeup. 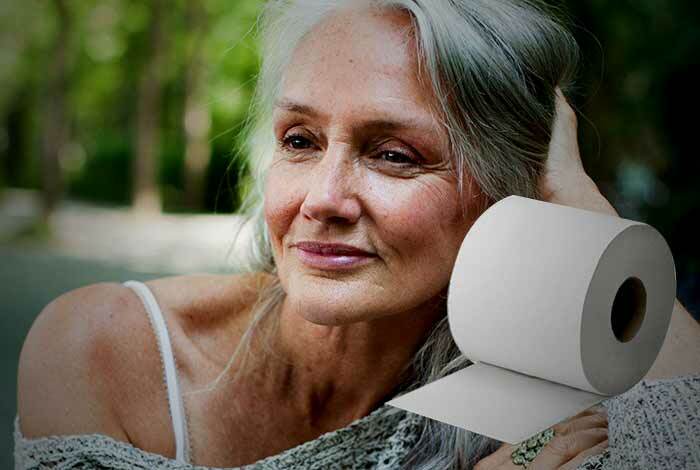 Toilet papers are thinner than facial tissue. They are basically fine paper. And what about those recycled napkins in coffee chains. You just need to peel it apart and blot it away. Absolutely free! So, my dear friend, start rejuvenating your skin today. Give it a try and let us know what you think of. Let the good things come, you beauty! You can follow this amazingly created and filled with so many makeup tips.